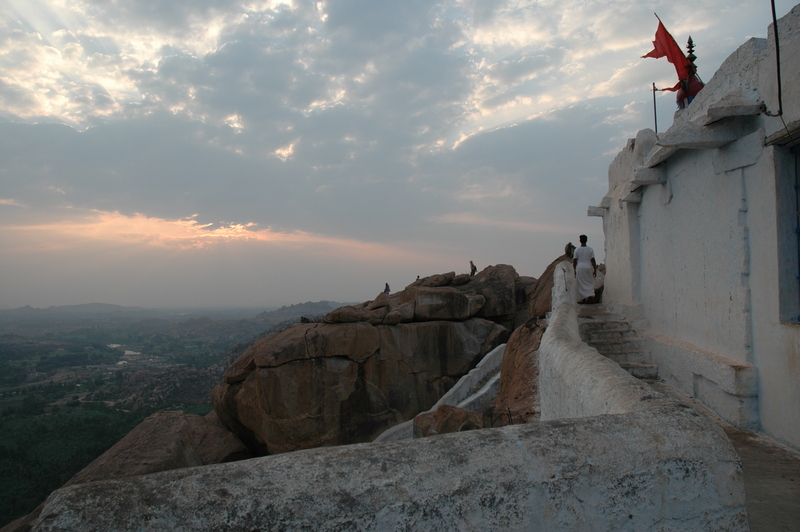 The birthplace of Hanuman (the Hindu monkey god), right outside of Hampi, was one of the more spiritually inspiring places I have been in a long time. Not only did the sheer magnificence of the scenery move me, but everyone else seemed to be genuinely happy just to be there. If I had to gauge a place on its spiritual credibility, I think that would be metric number 1. Visit at sunset and expect to have every older lady you pass on the staircase to greet you with a “sri Sita, sri Ram” and a smile, expect to have the priests call you into the temple for prasad (a sweet offering/blessing of chai or sugar), and expect to be serenaded not only by the chanting priests in the temple but also by the guitar and drum players teetering out on the rocks for sunset.